Holdeman and Levitas. W.B. Yeats in Context. Cambridge University Press. 2010. Print. Flannery, Mary Catherine. Yeats and Magic: The Earlier Works. Harper & Row. 1978. Print. Foster, R.F. 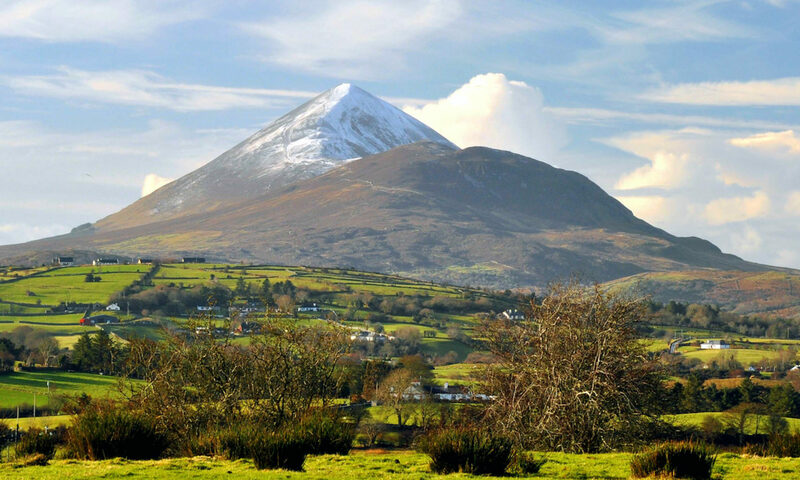 The Irish Story: Telling Tales and Making it up in Ireland. Penguin Books, 2002. Synge, J.M. The Aran Islands. Penguin Books, 1992. Yeats, W.B. The Stolen Child. 1889. De Valera, Eamon. The Ireland That We Dreamed Of. Radio Broadcast, 1943. O’grady, Standish. History of Ireland: The Heroic Period. Porteous and Gibbs, 1878. 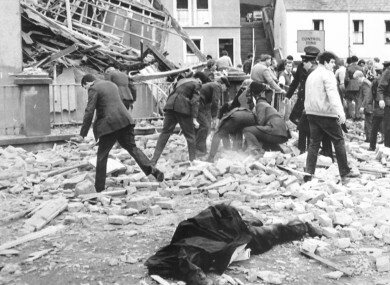 The Remembrance Day Bombing, also known as the Poppy Day Massacre, occurred in late 1987 in the town of Enniskillen. The bombing resulted in the death of ten people, nine civilians and one police officer, and the injuring of over sixty people. 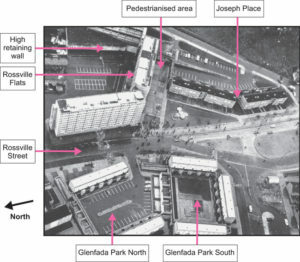 The PIRA, who were responsible for the attack, claimed that the intended target was a group of British officers, however this did not assuage the anger of the public. This was a turning point for the IRA and its factions; most people at this point in the Troubles were looking for a political or diplomatic way of solving issues with the British. 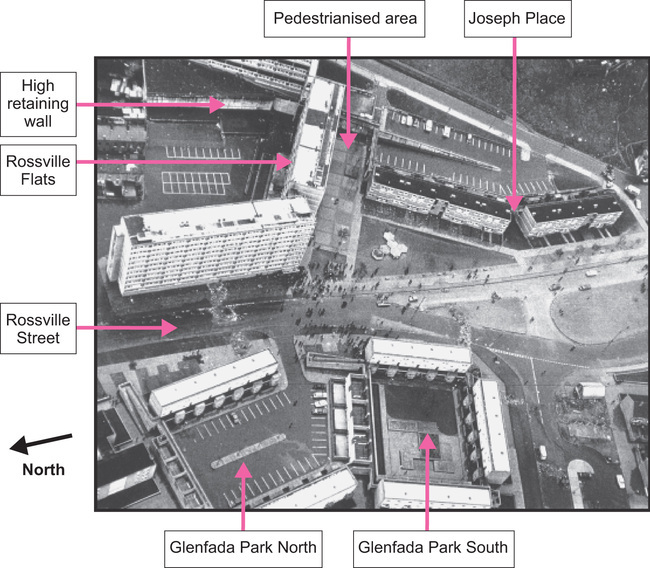 With a large number of casualties to innocent civilians, the support for the IRA began to evaporate, and the militant control by the British only increased. It is for these reasons that this event is seen as the beginning of the end of the military force force that was the IRA. Jade Chang: Hi! I’m second year Social Studies Adolescent Education Major at SUNY Geneseo. I’ve been interested in Irish history since I took an Immigration history class with Professor Mapes. While I originally came for the historical aspect of INTD 245, I found myself enjoying the literature, particularly the Yeats poems and his unrequited love for Maud Gonne. 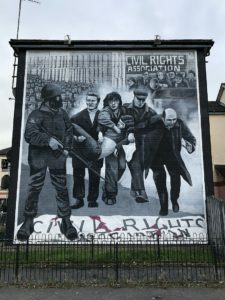 My paper focuses on how the Troubles are still occurring through problematic outlets such as the Orange Parades and murals. Carina Chanthabandith: I am a Psychology major and this is my second year here at Geneseo. I transferred in the fall of 2017 from Monroe Community College. I took this class because I was interested in learning something new and wanted to try something outside my comfort zone. Learning about the Belfast Agreement was interesting and I enjoyed the readings we did in class. Eamon Danieu: I’m a senior history major. I’ve had a strong interest in Irish history ever since my early childhood. While here I’ve tried to focus as many research papers as I could on some aspect of Irish history, and despite the morbid nature of the topic was glad to finally be able to delve further into the events of Bloody Sunday. As an individual aspiring to make a career through law, it was particularly interesting to look at such a gross miscarriage of justice in the context of such a divisive historical background. Natalie Orman:Hey there! I am a first year History major at SUNY Geneseo. I took this class on Irish landscape and memory because I have always been intrigued by Ireland and its history. This interest rose when my sister went to Dublin and told me stories about the scenery, the people, and the food there. I had been eager to take a class on its rich history and culture, so I enrolled in this one and have been thoroughly enjoying it throughout the semester. 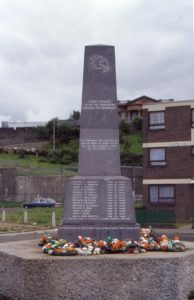 Memorial dedicated to Bloody Sunday in Derry, Northern Ireland. On January 30, 1972 a shooting in the Bogside are of Derry in Northern Ireland occurred. In January of 1972, a ban on marches was put into place, and was extended into early February. The Northern Ireland Civil Rights Association, also known as NICRA, organized a peaceful protest against internment to occur on January 30, 1972. Even though marches were deemed illegal at this time, NICRA decided to continue with their protest. 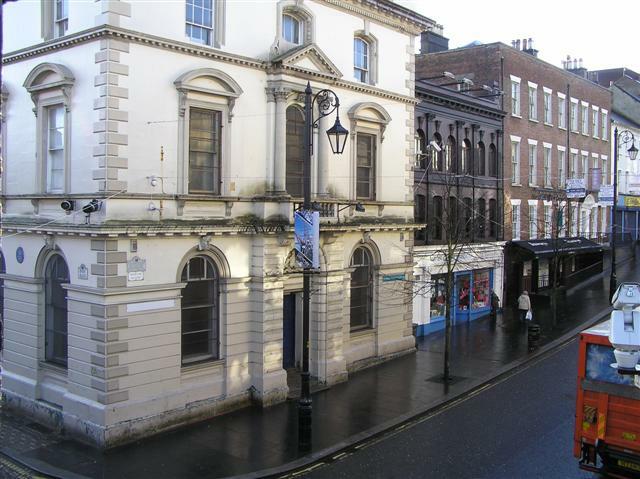 As the protest moved through the city of Derry, British soldiers shot twenty-eight unarmed civilians, and a total of fourteen people dies. 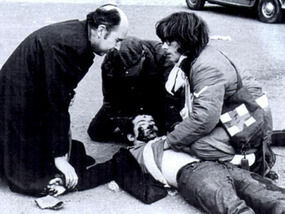 Many protesters were injured due to the violence unleashed by the British. The Royal Ulster Constabulary used water cannons to attack the unarmed marchers.This was the highest number of people killed in a single shooting incident during the Troubles. Afterwards, the violence was blamed on the nationalists, not the British. This event increased Irish nationalist hostility towards the British army. It also increased support and recruitment for the Irish Republican Army. This event also created fear and anxiety within nationalists and Catholics because they feared that they would be blamed for actions that they did not commit. First, there is the cultural boundary created by English colonists within Ireland. On one side is the Catholic Irish who resented the English for taking their land from them and their ancestors and forcing a fundamentally and categorically different legal system upon them with a clear intent of perpetual repression. The other side is the Protestant Northern Irish who had strong cultural and historical connections and felt superior to the Catholic minority in Northern Ireland. 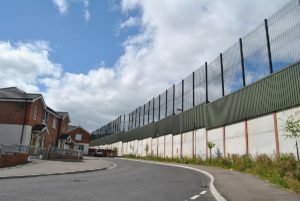 This was a boundary that characterized Northern Ireland’s dynamic for a long time and presented itself through skirmishes like Bloody Sunday in Derry all while creating physical borders such as the Derry Walls and Peace Lines in Belfast. Second, these borders perpetuated boundaries by physically showing the Catholic inferiority and the Protestant superiority. 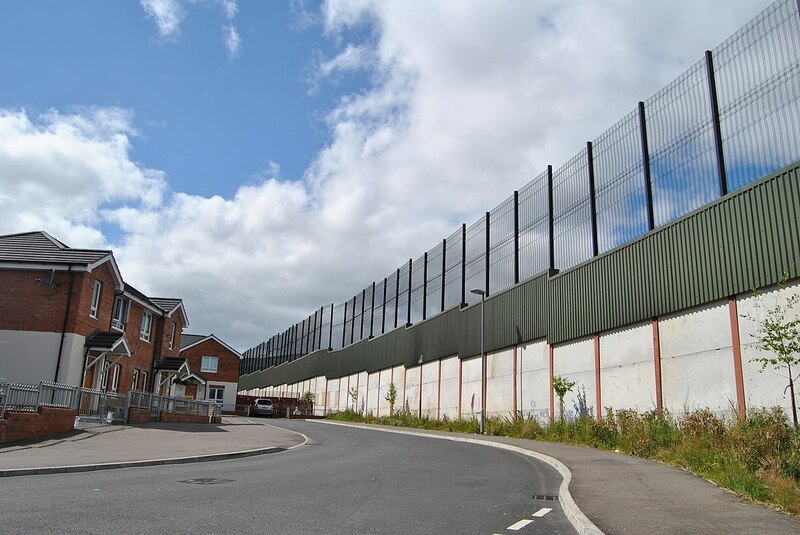 These borders then construct more boundaries in the form of aggressive murals and violent Orange Parades that cemented and exemplified cultural rifts throughout cities like Belfast. Beyond reasserting the boundaries within the society they further engender the same resentments within the younger generation influencing them to participate in these struggles. Thirdly, the decision to work together on the Belfast Agreement which addressed the issues of borders by lessening the overpowering presence of the military enforcement in Northern Ireland. Deciding that violence was not good for those on both side of the walls, it was decided that a compromise would be struck between Northern Ireland and the Republic of Ireland where Northern Ireland could stay under Britain’s rule, if all the citizens agreed to it, and the Republic of Ireland could convince them to join the Republic through peaceful means. It also encouraged cross-border relations by highlighting common ground where the two countries could work together to build a better sense of community. 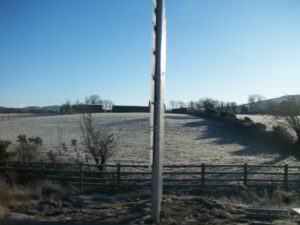 The border crossing between Counties Down and County Louth. This international boundary between the Republic of Ireland and Northern Ireland was once controlled by guard posts, yet the hard border no longer exists. Negative stereotypes in Ireland trace back to their Celtic ancestors who were once openly criticized by outsiders as barbaric heathens with crude traditions and little understanding of the world. Druid traditions were labeled as “pagan” and were often exaggerated by conquerors and explorers such as the Romans as justification for their destruction. 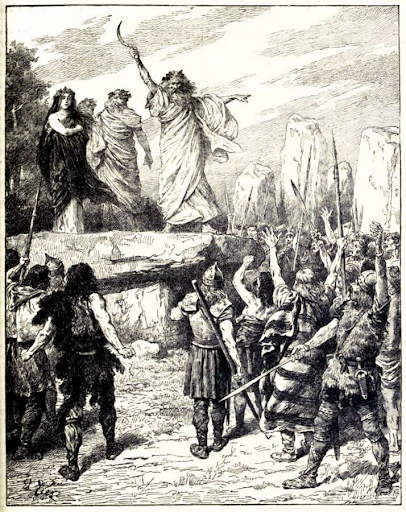 Julius Caesar once depicted a druid ritual as including the grisly sacrifice of numerous people within a giant wicker man as an offering to the gods. The truth of this is questionable, and is likely an early attempt to codify the Celts as barbaric. While it is likely that ancient forms of human sacrifice existed, connections to the druids seem especially biased and circumstantial. The Druids and Celts were also portrayed as a warmongering people; seekers of battle and destruction. This stereotype lived on with the English and their conquest of the Irish. It is a common trend among conquerors to justify themselves and establish their superiority over those they have conquered by labeling them as barbaric, uncivilized savages. Englishman, Edmund Spenser, provides a perfect example of this outlook through his essay: A View of the State of Ireland (1596), in which he describes the Irish people as “barbaric”, “heathenish”, “brutish and filthy”, and “superstitious”. His specific emphasis on their laziness, criminal nature, and love of war as indications of their evil nature is telling of his bias towards the Irish people and his goals of persuading the English public against towards them. Spenser’s use of these negative stereotypes illustrates their harmful potential; a sort of weaponized opinion against the Irish people. To label the entirety of the Irish people in such a negative light is unrealistic and can only have been done with the intent to influence public opinion against the Irish. Even as opinion of the Irish people evolved to encompass more positive characteristics, the lingering notion of Irish nature being rooted in a barbaric and uncivilized history prevailed. English overseers (Big House Ascendancy) of the Irish remained suspicious of their Irish subjects, always afraid of their true motivations. There would always be something just below the surface that those of English descent couldn’t quite trust, a result of lingering stereotypes towards the Irish as murdering criminals and liars, no doubt. The Famine would further accentuate the dangerous nature of these lingering stereotypes as the English refused to provide the Irish with aid in their time of need, in part due to the idea that the Irish simply weren’t working hard enough to fix the problem themselves. “Barbaric heathens” evolved into “promiscuous, lazy drunkards with a penchant for violence”, and while the second would prove less dangerous to the Irish people, it was no less derogatory and continued to reinforce English superiority over the Irish. With revolution came nationalism, and the attempt to dismantle negative stereotypes and replace them with new Irish ideals. Terence O’Neill was a member of the Ulster Unionist Party, however, he was constantly involving himself in Catholic affairs–meeting with them, attending events, and actively trying to reverse statutes excluding and downgrading them. This didn’t sit well with other Unionist members, or men like Ian Paisley, who saw O’Neill as a traitor to Protestant beliefs. O’Neill wanted to integrate Catholics and improve relations, but Protestant fears were too strong. Despite his efforts to heal strained tensions between the two groups, O’Neill likely pressed too hard, especially on the Protestants, and they withdrew further into prejudice. O’Neill was very heavy-handed with his Catholic collaboration, and although there are times that can work, the Protestant population was very stubborn, and more likely to recoil at the efforts than follow in his example. 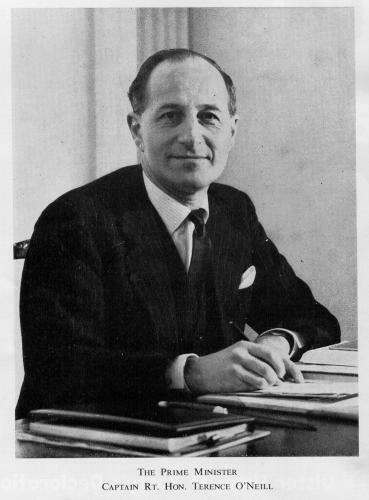 Terence O’Neill, Prime Minister 1963-69.